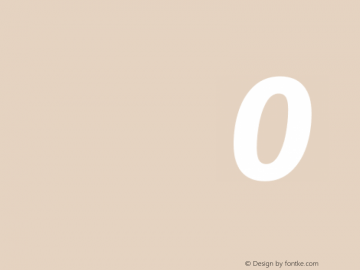 Fira Sans Condensed Hairline font family series mainly provide Italic,Regular and other font styles. 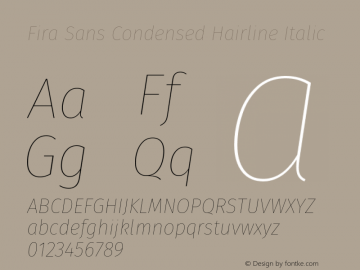 Fira Sans Extra Condensed Hairline font family series mainly provide Regular,Italic and other font styles. 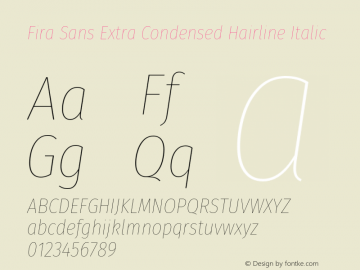 Fira Sans Hairline font family series mainly provide Italic,Regular and other font styles. 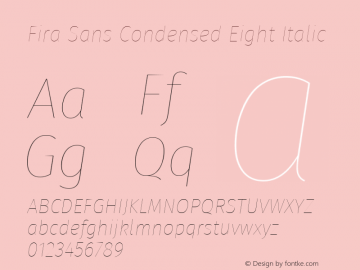 Fira Sans Condensed Eight font family series mainly provide Italic,Regular and other font styles. Fira Sans Condensed Medium font family series mainly provide Regular,Italic and other font styles. Fira Sans Condensed Light font family series mainly provide Italic,Regular and other font styles. Fira Sans Condensed Thin font family series mainly provide Regular,Italic and other font styles. 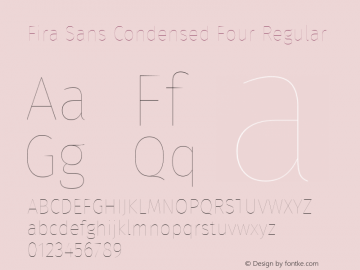 Fira Sans Condensed Four font family series mainly provide Regular,Italic and other font styles. Fira Sans Condensed Two font family series mainly provide Italic,Regular and other font styles.